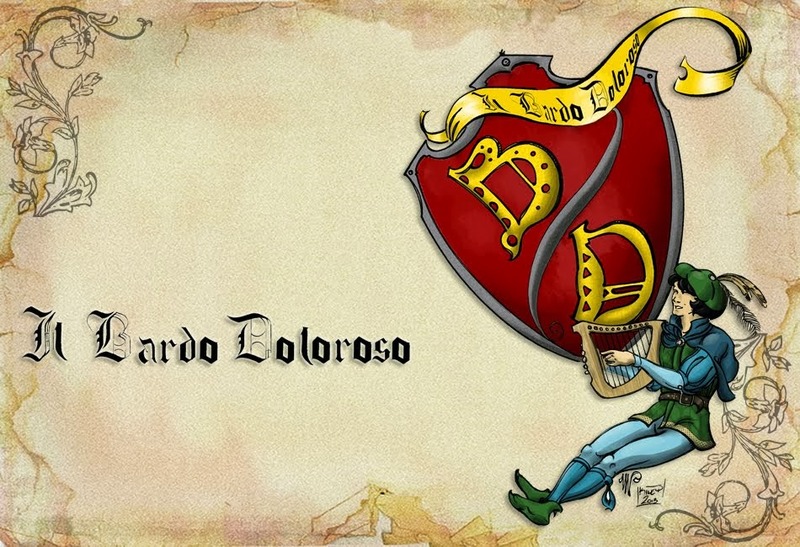 Il Bardo Doloroso: THE BARD'S NEW ENGLISH (I mean Elven) SERIES!! ENJOY! THE BARD'S NEW ENGLISH (I mean Elven) SERIES!! ENJOY! Hi everyone! Due to the large number of elven speaking visitors, our part-time Bard decided to open a series of stories just for you, dear long legged, blonde haired, vegan friends! The Bard apologizes for any mistake he will inevitably make, due to his embarrassing lack of language proficiency. If you found any major or minor mistake, please let us know, we will immediately punish him harshly in front of the whole population (and to send you a Magigram picture of the event to enjoy, of course). We'd like to thank our friend Kiley Johnson, A.K.A. Kilwillae, for her invaluable help in correcting this new adventure! Thank you Kiley! As for all the stories in any language published by our Bard, this one will also feature multiple choices at the end of each chapter. It's up to you readers to choose everytime the path this story will follow. Just post your comment below and the Bard will go on writing the way you choose. The majority wins, of course! Vote and let us know what do you think of the story and the characters! Our story begins in the wealthy palace of Naturia, the ever-flourishing, nature-oriented and GMO-free Capital of the Elven Nation. King Calidaen has called for the VIP section of his government entourage. His three sons are also there, in the great hall made of wood, vines, leaves and giant ladybugs. According to elven architecture, houses are grown and not built, in a slow process that lasts hundreds of human lifetimes. And it's still quicker than employing standard construction companies, anyway. "So, can we begin this useless meeting, please? If we have nothing to discuss I have better things to do, such as staring blankly at the sky or throwing rocks into the river." asks Talion, the king's step-son, a Dark Elf with a bad attitude. His skin is black and therefore it's common opinion that he is evil, so the other elves have no love for him at all. Except for girls. Girls always love bad guys. Talion comes from the dark, underground city of Undergraoundia, and until he was ten he never saw the light of the sun. I know, biology tells us he should have an extremely white pigmentation instead of being black skinned and white haired, but this is a fantasy world, and I don't make rules here. I'm just the Narrator. "Please, calm down my child," says the wise king, with his deep and powerful voice "we must wait for Alianthor, the Royal Sage. It is the sacred procedure." "Sacred? What's sacred about summoning an old fart with arteriosclerosis? He probably forgot he was even expected here." "Mind your language, son," says the king, looking at him with irritation, "Remember; your skin color can be different from that of your brothers, but you are a High Elf, and you are expected to behave in a snobbish, sophisticated and intellectual manner. And to be vegan, possibily." Talion's brothers shake their heads looking at him in disapproval. They will probably never recognize him as a true brother, Talion knows that all too well, so why should he bother to gain their respect? "Oh, no, I'm sorry father. I'm not really into veggies, you know. I like meat. Fresh, bloody, still pulsating spider meat," he says with a grin on his face,"I like to devour it raw and to feel the warm blood dripping from my chin, while I extinguish life from the poor spider's body. Oh, and I usually laugh in an evil way when I finish eating." "Don't look so sad, dad. I lied, obviously. I'm not a heartless barbarian," he adds "Spiders must be cooked before eating them. Everybody knows. "How dare you speak in such a filthy manner to our King?" roars Banelion, one of the Four Great Generals of the Seasons - Bow down and beg for pardon, dark elf. Talion looks at him coldly. "Do it yourself if you like, Banelion. He is my father, he can always spank me later, if he wants to." Banelion steps forward, hand on the hilt of his sword. "What did you say, darkling? If you could live the life of a prince despite being nothing but a spawn of evil is just thanks to His Majesty's greatness and..."
"Shut your mouths, you two," roars the king, hitting his throne with a fist, "I didn't summon you here to listen to your irreverent babbling. There are some serious matters that need to be discussed." In that moment the old Alianthor enters the throne room, solemn and noble. "I beg your pardon, Your Majesty," he says with his ancient voice, "I forgot there was a meeting, today. Tarion points at him, looking to his father. "What did I tell you? He really forgot." "Ok, you were right," says the king, exasperated "What do you want, now. A medal?" Silence falls upon the throne room and everyone listens carefully to the king's speech. "The nearby Reign of the human king... err..." he tilts back and his beautiful personal secretary approaches the throne, languidly glancing at Tarion with her promising eyes "what was his name, again?" asks the king. She whispers the name in the royal ear, and the king sighs again. "Those humans have such complicated names for creatures that live so shortly... well, I will call him ‘the human king,' to simplify. With no capital letters, to underline my supremacy over him." Everybody nods, beholding the great wisdom of their King. "Well, as I was saying, overwhelmed by debts the human king declared war to the Banker Dwarves of Nanorum. Unable to pay they decided to exterminate the creditors, instead." "A quite remarkable course of action, indeed," says Kentaurion, another General, "A little vicious, maybe, but a brilliant solution to the problem. It's a shame we don't have any debt to test that by ourselves." The King looks at him with royal and solemn anger. "We are the most civilized race in this world, Kentaurion. We must not indulge in such violent thoughts, like common carnivores. We are expected to be neutral and reliable, not violent and stupid like humans. With all respect, obviously." "Obviously, of course," says Tarion, smiling. "I'm old, son, but I'm still able to recognize sarcasm. My patience is wearing thin, do you understand?" Tarion sighs and nods "Understood, My King (with Capital letters)." "Good. Now, the human king has asked for our help. As usual, I should say." "Is that so? And what are we going to do, this time?" asks Tarion, playing with his knife, "We are sending them a bunch of archers who will die almost immediately so that we can exit the war without losing face? As we did the last time, with that ring and the burning eye and all those short guys?" The king shakes his head, slowly. "No, my son. Not this time, I'm afraid. My spies told me that several kingdoms answered the human king's request for help. One of them worries me particularly." "Which kingdom, sire?" asks one of the elves, trembling in expectation. "The Imperium of the Dark Lord himself," says the king, gloomily. Whispering spreads through the throne room. "What? How come? Mors Tua joined the humans against the dwarves?" 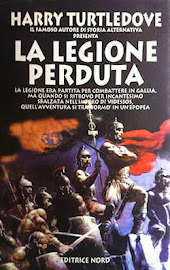 "Yes, but even wielding the dark powers of Mors Tua they cannot easily beat the dwarves." "But... how is it possible?" says Banelion. "I can't help but tremble thinking about such a huge army..."
"They are bankers, for the goddess' sake. They are the ultimate force of evil. Necromancy and Black Magic are for pussies, today. 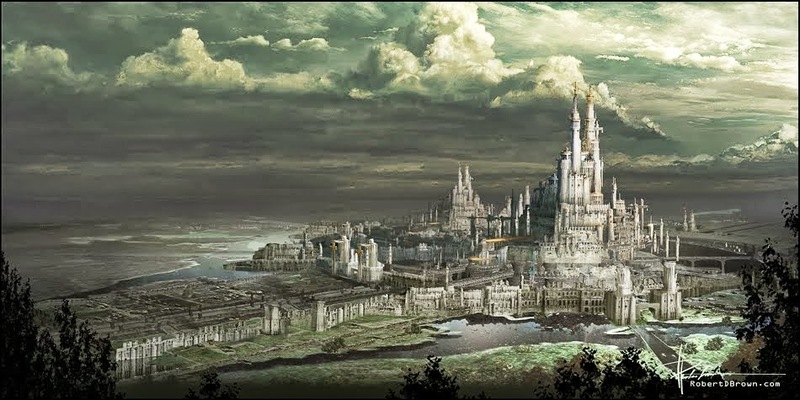 Finance is the true dark power," says Tarion "Damn, I hate those little, wealthy bastards..."
"I think we should remain neutral as always," says with a feminine voice the young general Ishta'el. "Our land is protected by powerful magic and we have no debt with anyone. Let the mortals play their game between them. Our priority is to guard this forest and act cool." "If they lose against Nanorum their kingdoms will be privatized and probably transformed into holiday resorts for rich people," the King goes on, "If they fall we ALL fall. This time is serious and we cannot simply go there with the usual group of archers, say hello and come back. The dwarves have been trying to buy our forest for a long time. Do you know exactly what they want to do, here?" Everyone says no, but they can easily imagine. The king uses some of his magic to show a Magigram picture of Theobald Forest, in the northern continent. "This was Theobald forest BEFORE the Dwarves bought it." The image changes, showing a barren land with a giant crater and many machines excavating and emitting a black smoke. "This is Theobald Forest now. A mine." "All right, father, I got your point," says Tarion, worried. He is a bad guy, but apart from that he loves the great forest, with all its plants, greenery and yummy animals. "So, what's on your mind? Do you have a plan to help the humans to stop this evil power of destruction?" The king nods, then calls for Alianthor. Several times, to be true, 'cause the old elf has fallen asleep during the King's speech. When he finally wakes up he uses his magic to show the audience three remote places: a high mountain covered in snow, a scorching desert full of ancient ruins and a thick forest crawling with dangers of all kinds. "A forest, a mountain and a desert?" laughs Tarion, "That's so classic fantasy. I'm smelling a quest coming up..."
"You are right, my boy," says Alianthor, "in these three places lie the ruins of the ancient elven civilization. In each of them you will find a shrine, a guardian and a piece of a great weapon. "Even more classic. Let me guess: we reach the shrines, defeat the guardians to prove ourselves worthy, then we took the pieces and reunite them during a solemn ceremony to please the ancestors. Then again we choose a stupid... I mean a HERO who will take the weapon and will show humans, monsters and dwarves the real power of the elves, right?" "Well, a little reductive, but mainly correct. Except for the part of the choosing. The stupid... I mean the HERO has already been chosen, Tarion. I think we should all congratulate you." The dark elf's eyes open wide. "WHAT? Me?" he asks in awe, "Are you #@!>< kidding me? It's because I'm black, isn't it? I'm not a real High Elf, so I'm totally expendable. Well, I do not intend to risk my life alone to prove that the elven nation is worthy of respect." "You will not be alone in this task, my son. Your brothers will help you." The three brothers eye each other suspiciously. "I changed my mind," says Tarion, abruptly, "I prefer to go alone, after all." The King raises his hand and the loud whispering in the hall ceases. "You will not travel together, though. 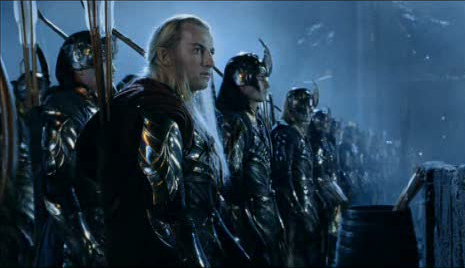 Each one of you will choose a different location and retrieve a piece of the weapon, then we will rebuild it and give it to you, Tarion, and you will bring honor to the High Elves." "But I'm not even a High Elf!" protests the young warrior, "I mean, I'll be glad to leave all glory to my honourable brothers, they will probably suit better in the role of heroes. "Indeed, my son," nods the King. "What do you mean, ‘INDEED?'" "It means that they would probably be a better choice. But the sacred weapon is a lance and everybody knows we High Elves are proficient only with magic, bows, crossbows and throwing knives. You know, we usually kill things, but we are against violence, so we prefer to kill them from a distance. But for you it's different. You are a Dark Elf, more brutal and violent, perfect for the task." "Oh, now I AM a Dark Elf, am I?" Alianthor reaches the young Tarion and put a hand on his shoulder. "This is a test for you and your brothers, too, my boy. You are being given the possibility to become a hero for your people." Tarion thinks about it. "You mean all these snotty High Elves will have to thank ME for everything? And I will be allowed to laugh at them and call them losers?" The old elf nods. "If you succeed, yes." Tarion looks at his brothers and grins, "Ok, old fart, count me in. Where should I start?" "Just choose one of the three locations. You are the HERO, so the first choice is yours." 1. Mount Titan: the highest of mountains. A cold and inhospitable place where even eagles, mountain goats and Norwegian climbers refuse to go. On its top rises an ancient ruin, where no man has ever set foot (but just because it's an elven ruin. There are a lot of elven footsteps, inside...) and on its inner altar lies the spearhead, carved from the eternal ice of the mountain. 2. The Desert of Muah: a place so hot that its sands already turned into glass. Beware if you go there, because you will need a pair of tough boots and cool, magical Ray-Bans to protect you from the light of the sun. In its undiscovered regions lies an ancient city of giant proportions, and somewhere, guarded by giant scorpions, you will find the staff, forged by the fury of the sun itself. "Ok guys, just two or three arrows and we'll go back home. Don't overdo it again, please. Just look cool and stay down..."
I think Mount Titan sounds most interesting! It's up and I love it! I'd like to see the Forest of Terror with its savage elves. I'm glad you're publishing in English now, I can't wait to read more!